During any conversation, one with better information dominates. *astTECS Call Center Dialer series are now powered with Vtiger CRM to capture & organize your customer’s data. A CRM (or customer relationship management) solution integrated with asterisk based Call Center Dialer system is a powerful organizational tool to enhance your customer experience with your organization; and increase the efficiency and information access capacity of your employees. Vtiger is a popular web-based, flexible, easy to customize, & 100% open source CRM system to help your organization managing work processes. Decision making is faster when the access to all the required information is quick & easy. 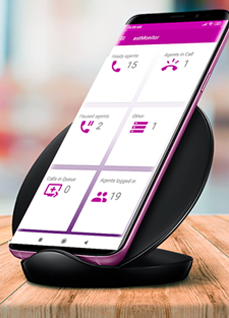 Call RecordingBy integrating Vtiger CRM with *astTECS Call Center Dialer, the users have access to – easy calling, call recording, view & listen to recorded calls. All calls recorded can be accessed by admin or agents by using CRM interface – Customer name, number, call duration, call time, etc. A click to the recorded file from the CRM downloads the file to your system, which can be listen later. With complete awareness about the customer, customer’s needs & past interaction with company, an employee can create a better bond with the customer, and help him better in less time. Customer will have less struggle everytime he approaches to the organization. All the department within an organization will have complete data about the customer. All your leads, contacts, customers & orders can be organized & stored in an standard format, which is easy and flexible to retrieve. Cross selling, Up selling, Calls, Newsletters & Emails can be more precise and result oriented when it is delivered to a focused group. *ast eCRM50 – up to 50 subscribers + 5 CRM Login. *ast eCRM100 – up to 100 subscribers + 5 CRM Login. *ast eCRM200 – up to 200 subscribers + 10 CRM Login. *ast eCRM300 – up to 300 subscribers + 10 CRM Login. *ast eCRM500 – up to 300 subscribers + 10 CRM Login. *ast eCRM1000 – up to 1000 subscribers + 10 CRM Login. 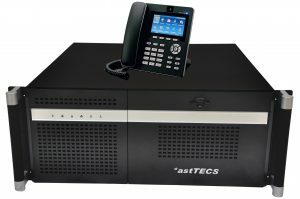 *astTECS offering IP PBX System with integrated CRM for better customer experience & enhance organizational efficieny. 3-way conferencing from the IP Phone. Dial a code to connect to a separate overhead paging and announcement system. Connect with PRI ISDN E1, T1. Barge in: Barge in on both channels. The manager channel is joined onto the spied-on and bridged channel, and all parties can hear each other. Server: 4U Industrial grade Rack mountable Server. Quick Decision & Reduce Sales Time. Well informed support by real-time CRM reports accross all business areas, make it easier to take fast informed decisions, and help in closing the sale in less time. Predections and forcasts are now more clear with the availability of – data on different sales stages, pipline reports & project status. This will help in deciding budgets, sales & revenue estimations. Highly targeted marketing activities are possible by categorizing various customer segments, based on their industry type, employee strengths, geographic & demographic records & other informations. Scaling of various marketing & sales campaigns can be pulled wth the help of CRM lead source management to analyse the ROI from marketing activities. Our ticket system allows organizations to offer professionaly managed support services to thier customers; and to make sure that even the smallest request from their clients are not left unattended. Performance analysis is easier with our ‘Ticket System’ as it helps in identifinga true performer within the orgaization working in favor of the business or customer. By analysing the customer’s interests, buying behaviour, & studying his profile, more solutions can be presented, which results into more customer engagement & more sales. A well logged and maintained data provides operational stability to the organization, by reducing the impact on business by the employee churn. The customer’s data is stored in CRM which is easy to reterive and absorb by the new employee.